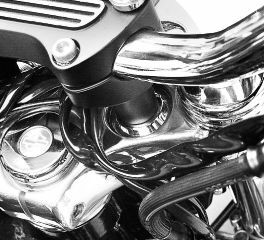 Are you a rider that is a short reach or you prefer an upright riding position? 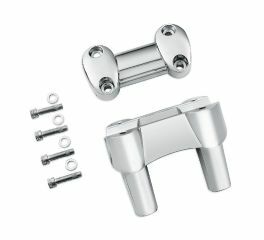 Our handlebar risers, clamps and covers always have an element of style. 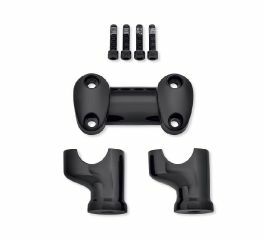 Go for a total blackout and replace your Original Equipment Riser. 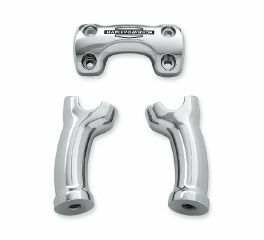 Ideal for riders with a short reach or for those that prefer an upright riding position, these curved risers and the matching handlebar clamp are shaped to put the Original Equipment Softail® Slim handlebar closer to the rider. 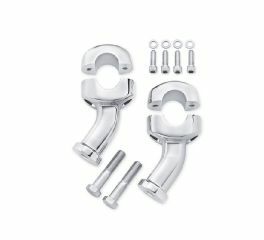 Required for installation of 1.25” handlebars on FXBB Street Bob models, this curved riser kit features a one-piece top clamp that is shaped to accept the Original Equipment clamp-mounted digital gauge package. 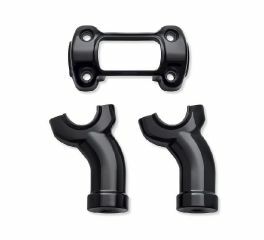 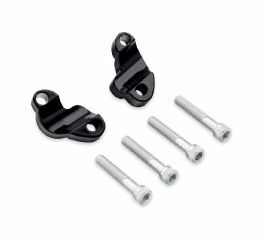 Required for installation of 1.25” handlebars on ’18-later Fat Bob models, these black split shims permit the installation of accessory bars in the Original Equipment 1.5” handlebar riser and clamp. 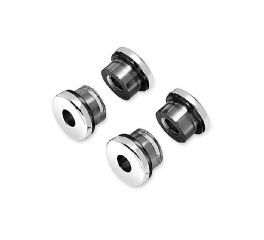 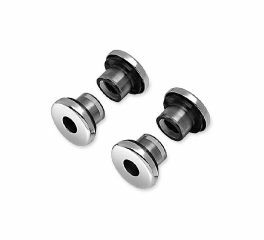 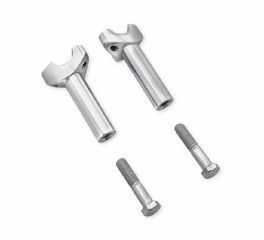 Provides a highly polished and plated, machined steel, conical shaped washer. 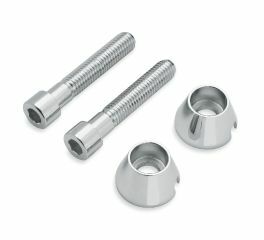 Chrome socket head cap screw is countersunk into the washer upon installation for a very clean look. 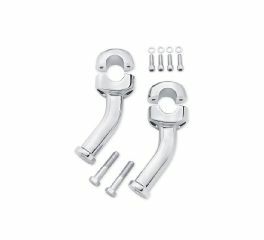 This riser features a one-piece base that is designed for use with internally-wired 1.25'' handlebars, and provides a skirt that conceals the wiring's exit from the bar. 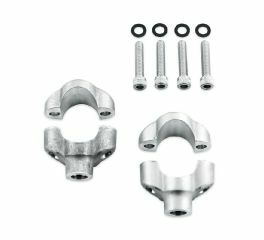 Required for installation of Freight Train Headlamp Nacelle. 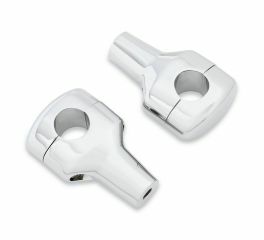 Add a finishing touch to the riser on your bike. 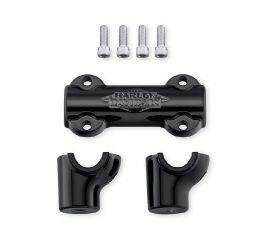 With a subtle curve that also adds an element of style, these pull back risers with flat bar brings the handlebar approximately 5" closer to the rider (as compared to stock FXSTB) without compromising the original styling of your Night Train™ model. 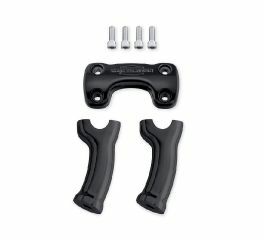 Perfect for riders without a long reach or for riders who prefer sitting a little straighter in the saddle. 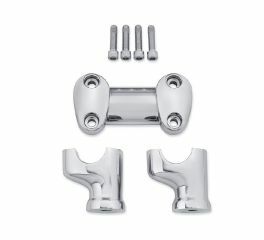 These chrome-plated Curved Pullback Risers provide a comfortable riding position for those who like the shape, width, and hand position of their current handlebar, but wish it was a closer. 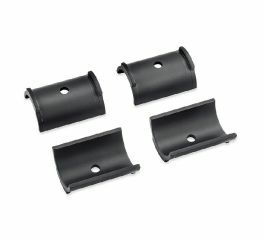 For an ergonomically-friendly ride, these risers can be combined with a Harley-Davidson® Reduced Reach seat and Profile Low suspension components to reduce arm stretch and to plant the feet firmly on the ground. 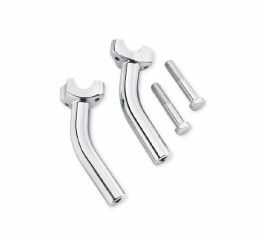 These chrome-plated Risers provide a comfortable riding position for those who like the shape, width, and hand position of their current handlebar, but wish it was a closer. 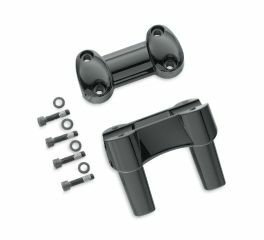 For an ergonomically-friendly ride, these risers can be combined with a Harley-Davidson® Reach seat and Profile Low suspension components to reduce arm stretch and to plant the feet firmly on the ground.